Growing up with dyslexia, Madison Sykes knew the challenges well. There's the difficulty in reading and writing, but also the challenge of being embarrassed to use obvious aids in the classroom that set you apart from other students. Plus, the product needed to be affordable and effective if parents are going to buy them. 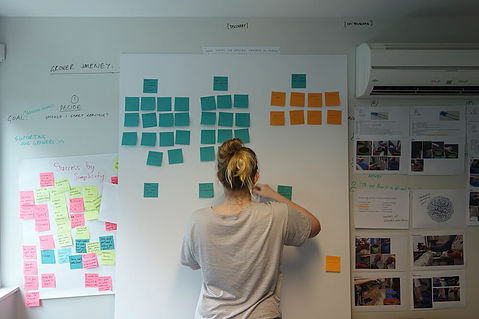 Led by Madison, the group of Tauranga Girls College students that make up Brite NZ brainstormed a modern, realistic solution and iBrite was born: LED strips that assist dyslexic students. This solution solve all the major challenges the girls identified. First and foremost, they work! The LED strips calm the overactive dyslexic brain, letting it interpret words and numbers without jumbling them. Second, it's cool! Unlike many dyslexic study aids, the LED strips are subtle and modern, there's no obvious glasses or different classes that make students feel self-conscious. Finally, iBrite is affordable, not making use of expensive technology or gadgets. 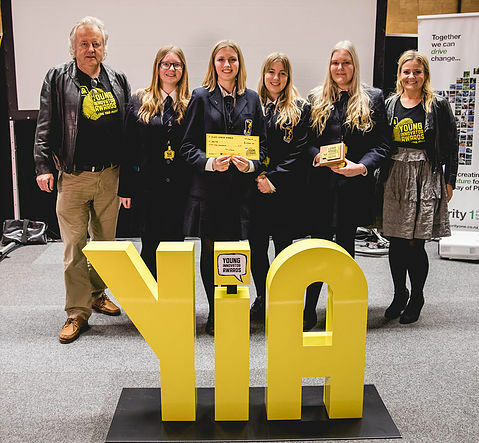 For their awesome work, the girls were invited to spend 2 weeks developing their product with local innovative businesses – a prize worth $10,000! Madison and teammate Abbey spent 1 week learning about product design at Bluelab, and Madison followed this up with a week spent on branding with Woods Agency. "The internship was incredibly valuable: we feel a lot more confident in regards to where we can take our idea now that we are no longer school students. PLUS the girls got $2,000 cash which will go a long way as they all enter their first year of uni.